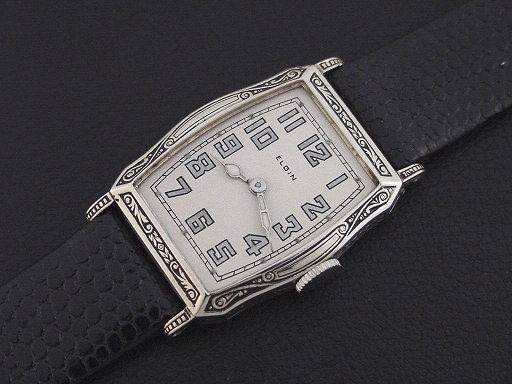 Scarce Elgin “Model 209” men’s Art Deco design wristwatch in solid 14K white gold, circa 1929. 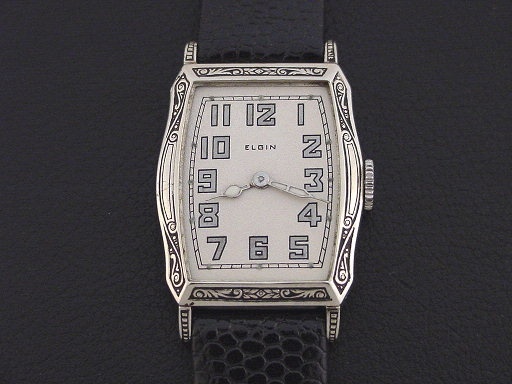 This fantastic Elgin has ornate Art Deco geometric engravings on the bezel and case sides. It was priced at $57.00 in 1929. 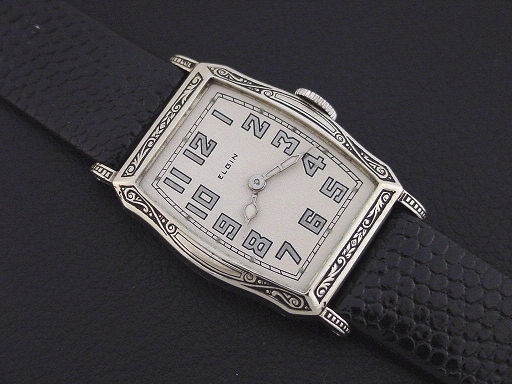 This stunning Art Deco case was produced for Elgin by the Solidarity Watch Case Company which also made very similar ornate cases for the Hamilton “Rectangular” and the Illinois “Consul." This example is the finest I have ever offered of this model and is in crisp, near mint condition showing almost no wear. 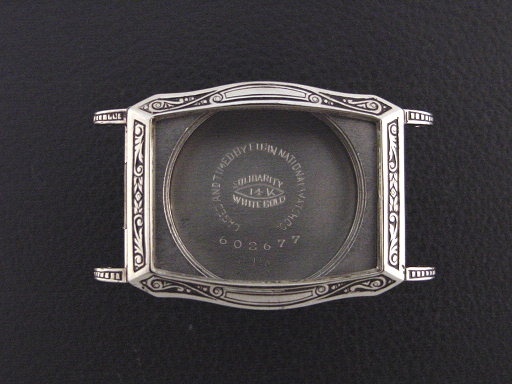 The engraved designs are bold and sharp. 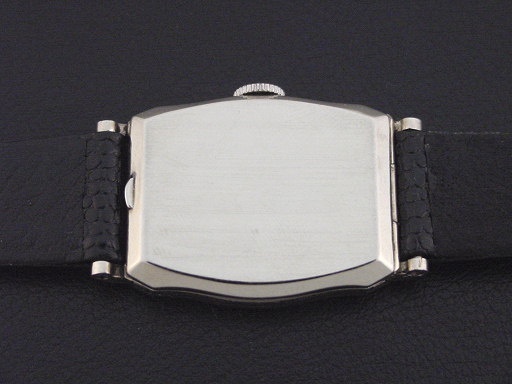 Hinged caseback is excellent and unengraved, with some of its factory-applied brushed finish. The case measures 38mm long and 25mm wide. Refinished dial is superb, has silver inlaid numerals with luminous dots and matching luminous hands. Has new glass crystal. 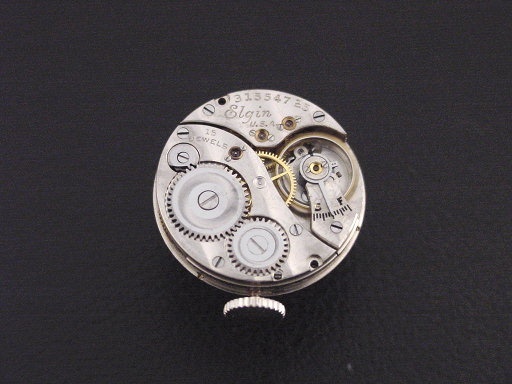 The watch is powered by a 15-jewel Elgin grade 444 movement, just serviced and running strong.